You may have noticed by now that we love mosaics and we love sea glass. So, of course, we just had to put the two together! 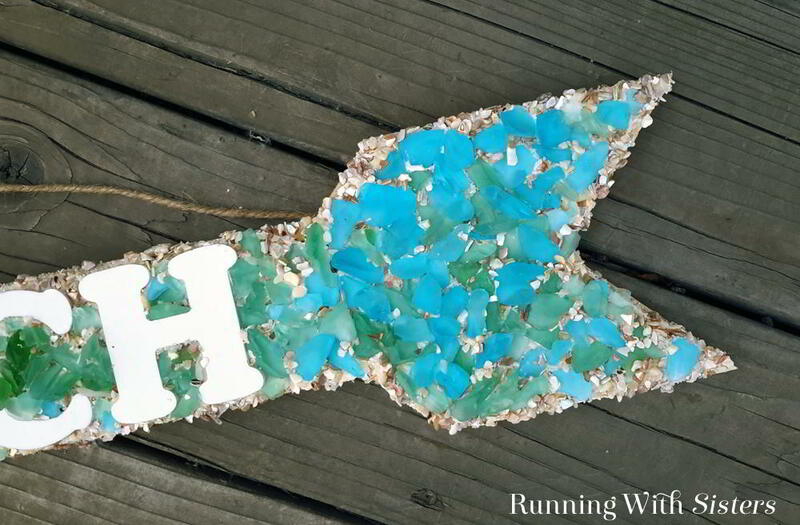 Thus our sea glass mosaic sign! We spelled out BEACH using white letters. And for the mosaic, we used a trick – no grout! With most mosaics, you start with a layer of adhesive and arrange the tiles. Then you smear grout over the mosaic. But for this mosaic, we just used silicone. It is an adhesive and also has enough body to fill in the spaces between the sea glass pieces and act as grout. 1. 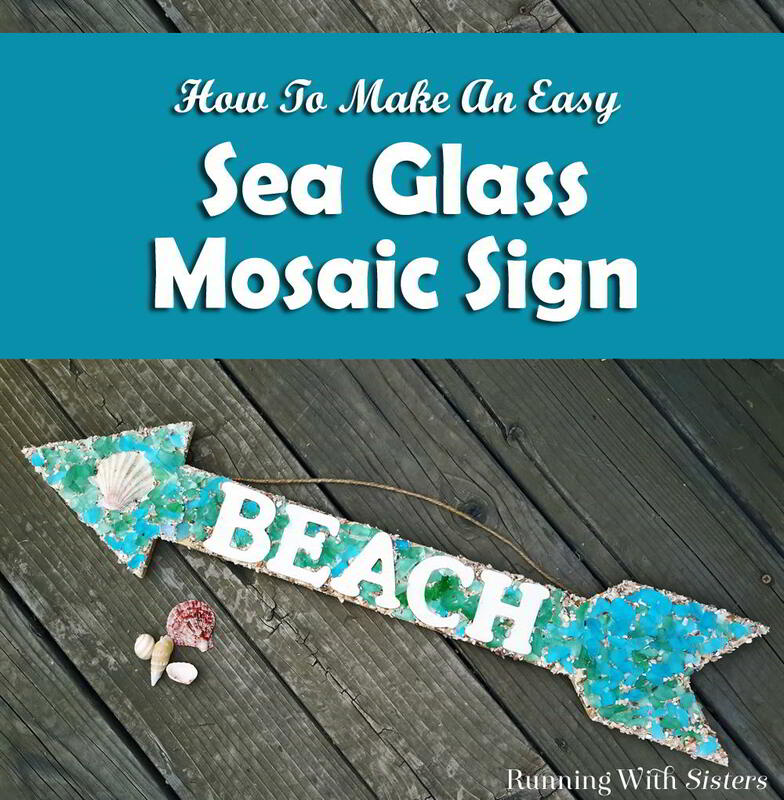 If you want to hang your mosaic sign outdoors, make the sign weatherproof by painting it with a coat of Outdoor Mod Podge. 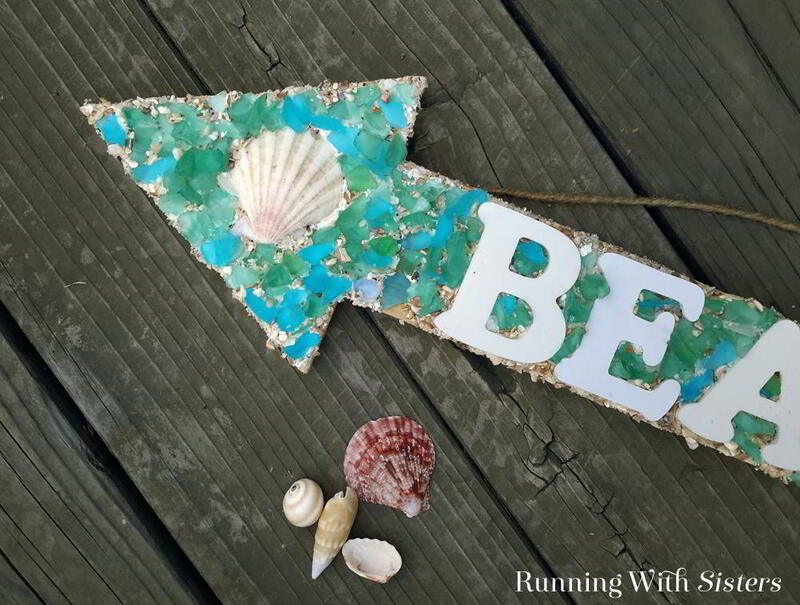 Paint the letters with Outdoor Mod Podge too. 2. Squeeze the silicone onto the center of the sign. We found it worked best to create the mosaic in stages. We did the center part with the letters first. Then each end. After you squeeze out a good amount of silicone, use the side of a craft stick to spread the silicone around. Cover the area with a layer about 1/8th of an inch thick. 3. The silicone should stay tacky for about fifteen minutes. While it is still sticky, press the letters spelling BEACH into the silicone. To center the word, start with the center letter “A”. 4. While the silicone is still tacky, sprinkle the sea glass pieces over the area. Some of the sea glass pieces will land just right. Others will ned to be moved around a little. 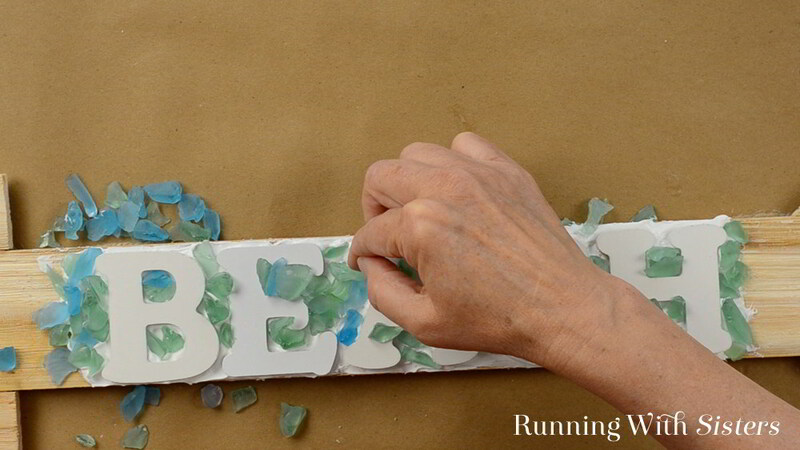 Make sure there are sea glass pieces in the openings of the letters “A” and “B”. 5. The sea glass pieces have irregular shapes so there will be spaces between them that still have white silicone showing. To cover the exposed silicone, sprinkle crushed shells over the area. Press it down into the silicone. 6. Then sprinkle sand over the area. Press it down. 7. Wait for the silicone to dry then flip the sign over. 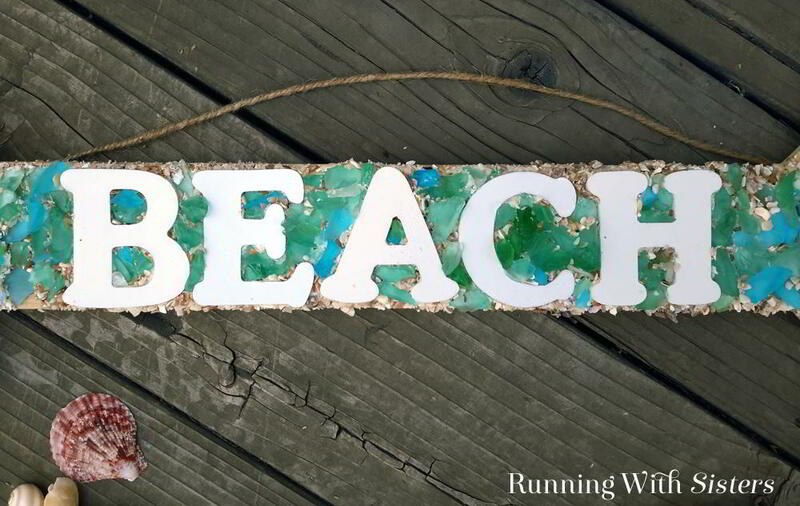 Tap the sign to shake off the extra sea glass, sand, and crushed shells that didn’t stick to the silicone. Brush any sand off the letters. 8. Use the same process to decorate the point end of the arrow, but press a scallop shell into the center first instead of letters. Then sprinkle on the sea glass pieces, crushed shells, and sand. Let the silicone dry and brush off the excess. 9. 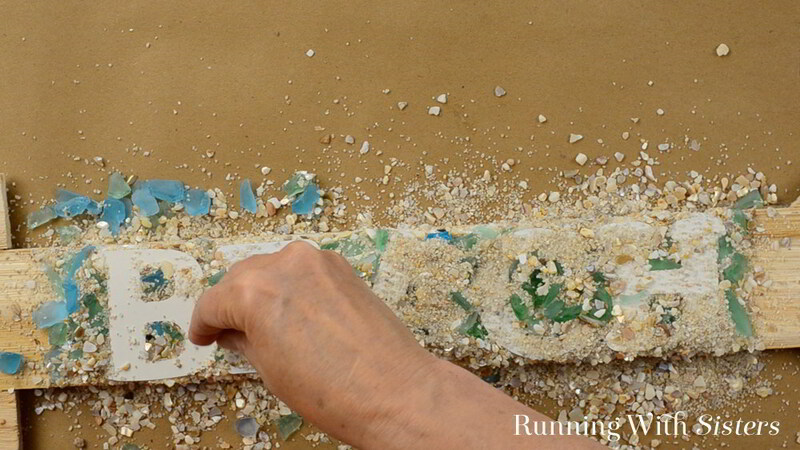 Finish the end of the arrow the same way with a layer of silicone, sea glass pieces, crushed shells, and sand. 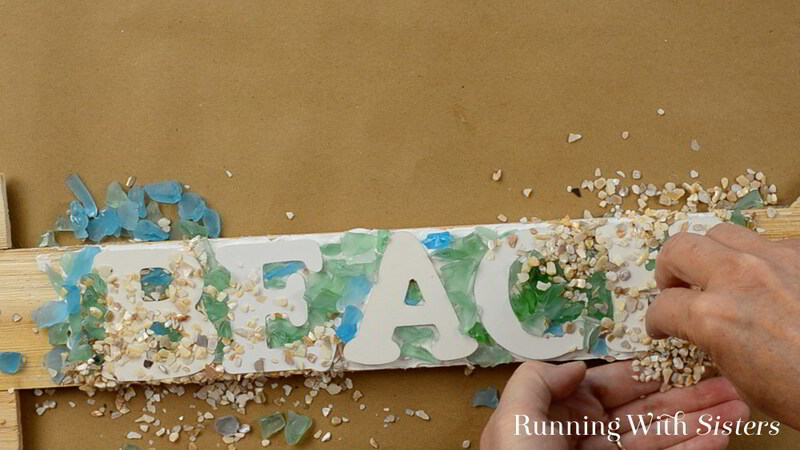 Let the silicone dry and shake off the extra crushed shells, sand, and sea glass pieces. You don’t have to spell BEACH on your sign. You could put a family name or house numbers or no letters at all. If you have any questions, leave us a comment and we’ll reply. We love answering questions. 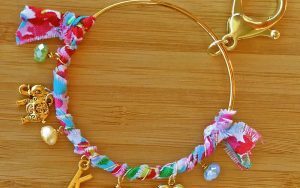 Really cute idea! 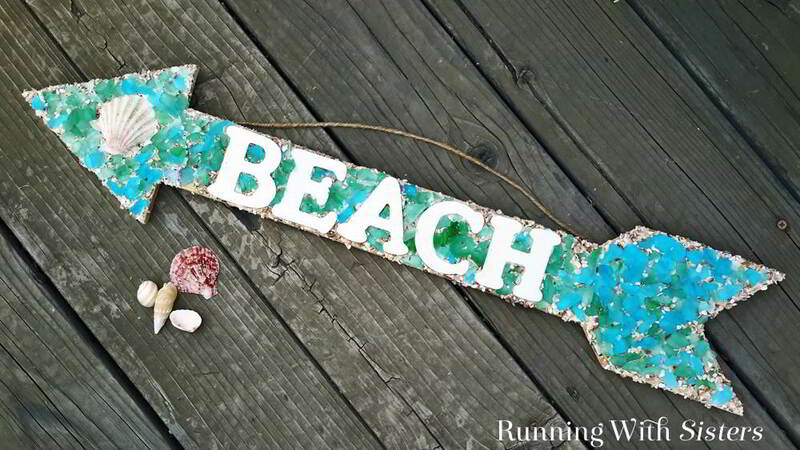 I have some friends that just bought a beach place, think I will be making them one of these with their name on it! Thanks! Perfect! I was looking for inspiration for a pool cabana changing room sign and bingo! This is the look I want I just didn’t know it yet! Thanks girls! 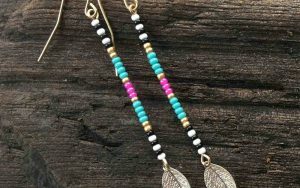 Where did you get the small pieces of sea glass? I get some at Michael’s, but had to hammer them into smaller pieces. We have a good collection of sea glass, so it’s hard to remember where they all came from. 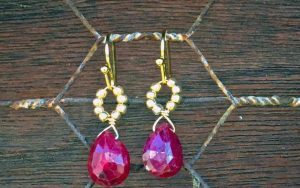 Try the jewelry section at the craft store for smaller pieces. 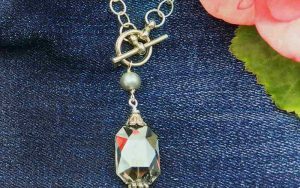 Some vendors on Etsy sell smaller sea glass pieces too. 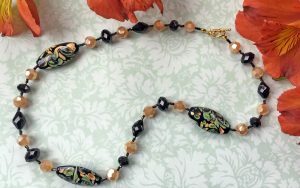 I would like to adapt this method of using small mosaic pieces to create a walkway path for my fairy garden. I ‘m wondering what ai can use for the base….thin piece of wood or would I need plastic or metal because it will be on dirt.